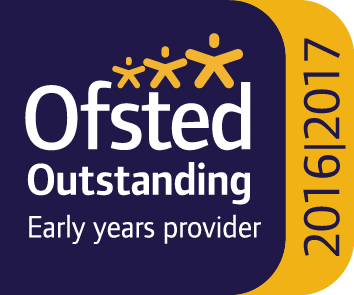 We often use threading as a way of improving the children’s hand-eye co-ordination which in turn leads mastering a whole host of skills, including hand writing. 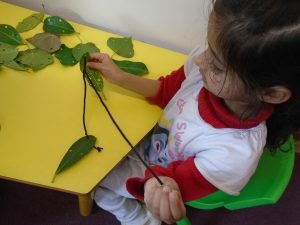 To keep their interest fresh we use leaves to thread through rather than paper or card. Wire racks also proved popular for fine threading. The conversations that followed included naming plant parts, discussing how we can keep plants alive & healthy & how we can keep ourselves healthy too.